*HOT! 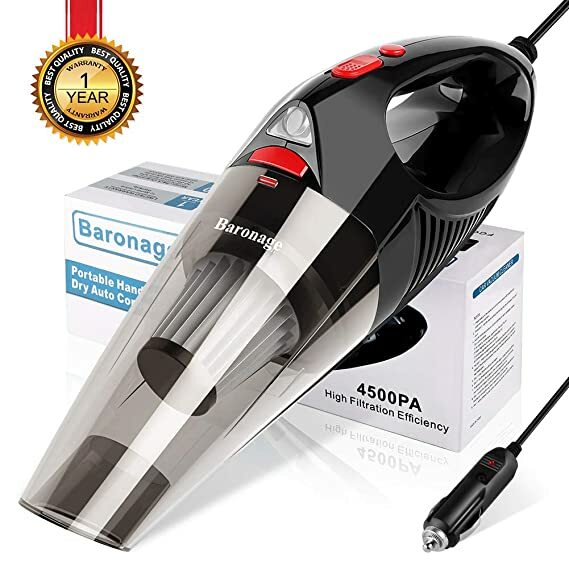 * Amazon – Baronage Car Vacuum Cleaner just $13.98 (reg $27.96)! Score a fantastic deal on the Car Vacuum Cleaner High Power – Baronage Corded Portable Auto Car Vac with LED Light, DC 12V Mini Handheld Vacuum Cleaner for Quick Car Cleaning for $27.96 – $13.98 with promo code ZISTVK6S = just $13.98 with FREE Prime shipping or free shipping with $35 purchase on Amazon! You can order multiple vacuums at the discounted price in the SAME transaction!